In case you haven’t heard, Teen Vogue, which is a fashion magazine that regularly includes $4,000 articles of clothing in its pages, has also adopted a heavily political slant in the past few years. 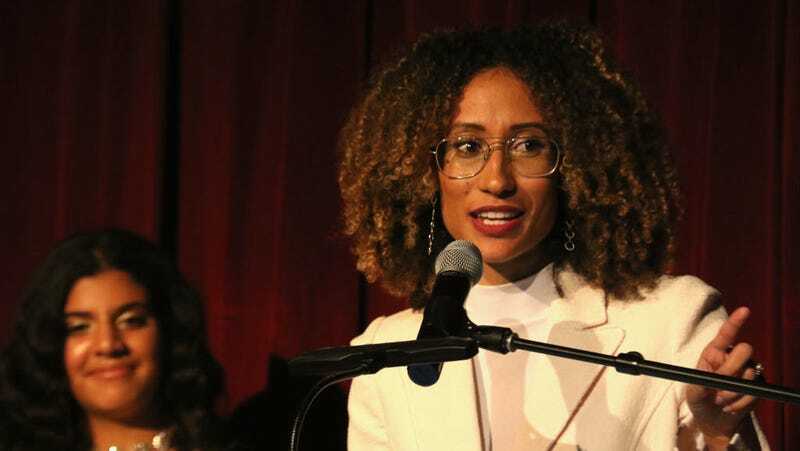 And a lot of this is because of Elaine Welteroth, the youngest editor-in-chief for the publication and the second black woman to hold the title at Condé Nast. Welteroth is the subject of a New York Times Magazine profile, written by Jazmine Hughes, which asks the question readers have been wondering ever since Teen Vogue decided to speak to young people’s political interests: how can you do that and still be a high-end fashion magazine? Welteroth, who came up through major publications like Ebony, Glamour, and then Teen Vogue, reveals in a series of interviews (in which a Condé Nast publicist is almost always present) that the new Teen Vogue is a response to the way things have been shifting in the zeitgeist. “I felt like there was an opportunity to go a little deeper and to feature a different type of girl: someone who actually used their platform to be a role model and to be a thought leader,” she tells the magazine. And you can see that in the publication, which is already remarkably more diverse and LGBT-inclusive than its former iterations. ‘‘We’ve come to stand for something, and it has resonated,’’ she said. ‘‘So Phase 2 of Teen Vogue’s evolution is activating this audience that we’ve galvanized. I see that happening through live experiences, products and services.’’ The brand, she said, had already changed so much in the last year. ‘‘You’re woke. O.K. Now what?’’ She then told me about a coming TV integration, a forthcoming reader convention and a line of merchandise, exclusively sold at Urban Outfitters. The answer to her question, then, is just as likely to be found in the mall as in her pages. There’s nothing wrong with expanding the Teen Vogue brand, but it’s important to remember that’s what it is: a brand.